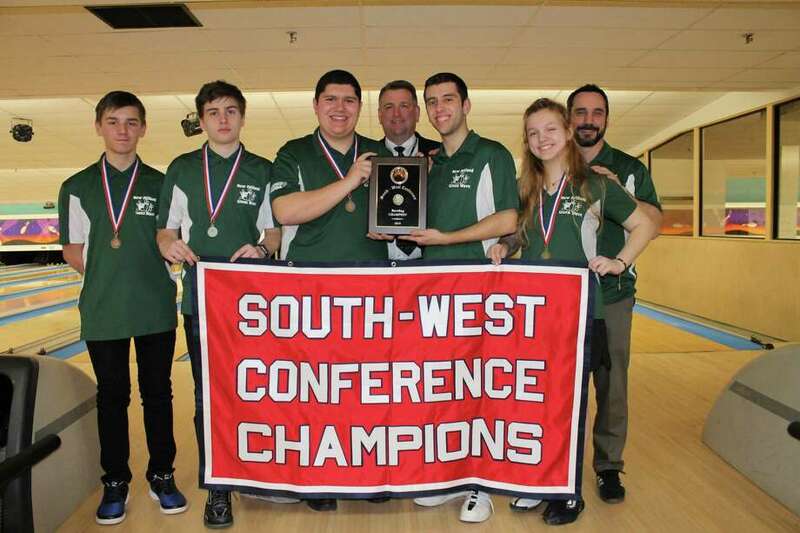 New Milford High School recently won the South-West Conference bowling championship. New Milford successfully defended its South-West Conference championship Feb. 25 at Nutmeg Lanes in Fairfield. The Green Wave combined for 2,858 pins over three games, well ahead of second-place Notre Dame-Fairfield’s 2,375. New Milford’s Riley Smith was the individual girls champion with a three-game score of 619. She had a high game of 219. New Milford’s Matt Viserto also rolled a 619, with a high game of 223. He was runner-up in the boys competition to Kolbe Cathedral’s Christopher Stevens (640). The Green Wave accounted for three of the top five boy’s slots. Matt Crookshank was third with a 579 and Frederick Foshay fifth with a 544. Ryan Kayfus bowled a 497 for New Milford.